to send in a booking request, please fill out the booking form by clicking the Contact form. You won't forget attending this concert! Complete with spirit-filled, worshipful music, Stacie Ruth and Carrie Beth sing with deep feeling and meaning. You'll feel inspired and encouraged by the music and excitement. Learn what everyone is talking about and book a concert with Stacie Ruth and Carrie Beth. This not just a concert - it's an event! Run a spiritual EKG and check-up on your heart's condition. Face fears, receive hope, and rediscover the amazing grace of Jesus Himself! Learn five steps to a healthier, happier heart! For more in depth information, click here. 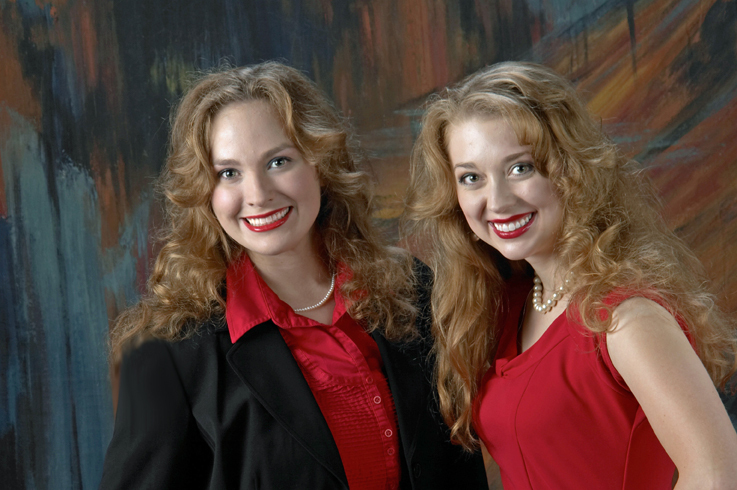 Celebrate the true spirit of America with Carrie Beth and Stacie Ruth! Enjoy their much loved renditions of popular patriotic tunes in this red, white, and blue concert! Rediscover Christmas through the eyes of a child. Shimmering joy will caress your hearts as you trade in adult stress for child-like faith and happiness! Music, skits, and tips entertain and empower. Perfect for Mother-Daughter events and teas, this Christ-centered program includes refreshing fun, touching stories, and creates memories. Fancy hats, fun parodies, and thrilling music inspire all ages. A one-woman play, this powerful presentation allows you to become a member of Stacie's family! Witness scenes acted out, a romance illustrated through words and song, and vivid, inspirational ways to help and cope with Alzheimer's! This is a life-changing event that touches hearts of families with or without Alzheimer's. Learn How to Help the Hearts of "Kids in Crisis"
Kids tend to fade into the background when adults are in deep need. In this workshop, Stacie Ruth Stoelting teaches church leaders how to minister to children and teens trapped in tragic situations while helping them to address their fears and grow in their faith. Discover the "Top 12" points to point kids in the right direction.